The month of May is National Bike Month and we’re happy to see so many people participating in Bike to Work Day. Of course, we think everyday should be Bike to Work Day for anyone who works less than 5 miles from home. In the Bay Area alone, more than one million Bay Area residents live within five miles of their workplace. Imagine how less congested our streets would be and how much healthier and happier people would be if more people made the choice to bicycle, walk, or take public transit to work. 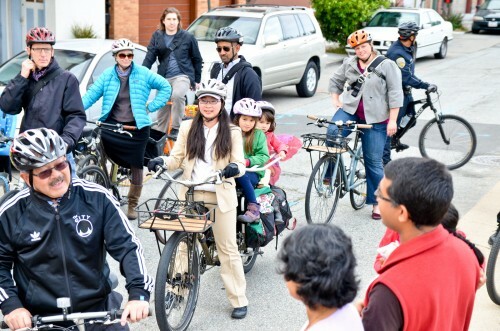 We’re lucky to live in San Francisco where bicycling is a mainstream activity and the majority of our local elected officials recognize the value of bicycling. This year, 9 out of 11 local elected Board of Supervisors, our Mayor, and our District Attorney all participated in Bike to Work Day with thousands of other residents. Bike to Work Day helps remind these elected officials to fully fund and prioritize initiatives like Connecting the City which creates safe and accessible bikeways for anyone from 8 to 80 years old. We know cities can get more people to bicycle if they create separated bikeways like this new one on Polk Street near City Hall. It takes political will and funding to make these changes happen on our public streets. 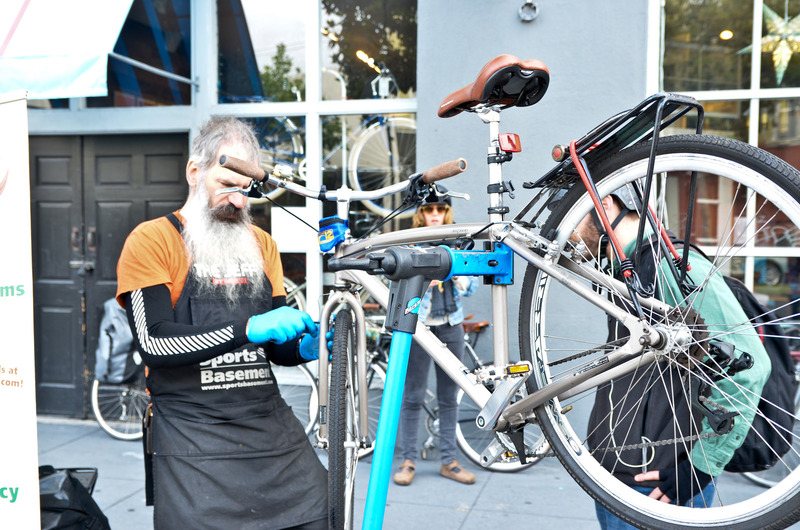 We encourage you to find out more about your local Bike to Work Day activities – and support your local and statewide bicycle advocacy organizations working to make bicycling better for all of us.